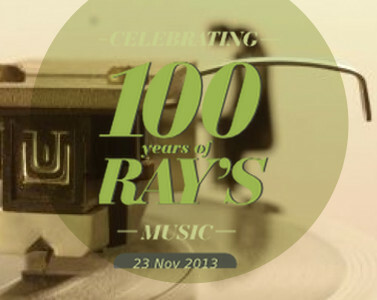 I have also received notice that the World Premiere of Ray’s lifelong work “The Immortal Touch Part 2” is scheduled to go ahead on Friday 6th June, 2014 in the evening, with a matinee performance on Saturday 7th of June, 2014 at the Sydney Conservatorium of Music and played by the Conservatorium orchestra and choir. Will post details of how to purchase tickets, where and when, closer to the event. The first part of the Immortal Touch premiered at the Sydney Conservatorium of Music in 1975. It was conducted by Richard Gill and performed by the Conservatorium orchestra and choir and Ray was lucky enough to attend this event before he died the following year. Our thanks go out to all at the Conservatorium for their ongoing support of Raymond Hanson but especially to Joanna Drimatis for her tireless research and help in promoting Raymond’s work and in particular getting this project off the ground ! !